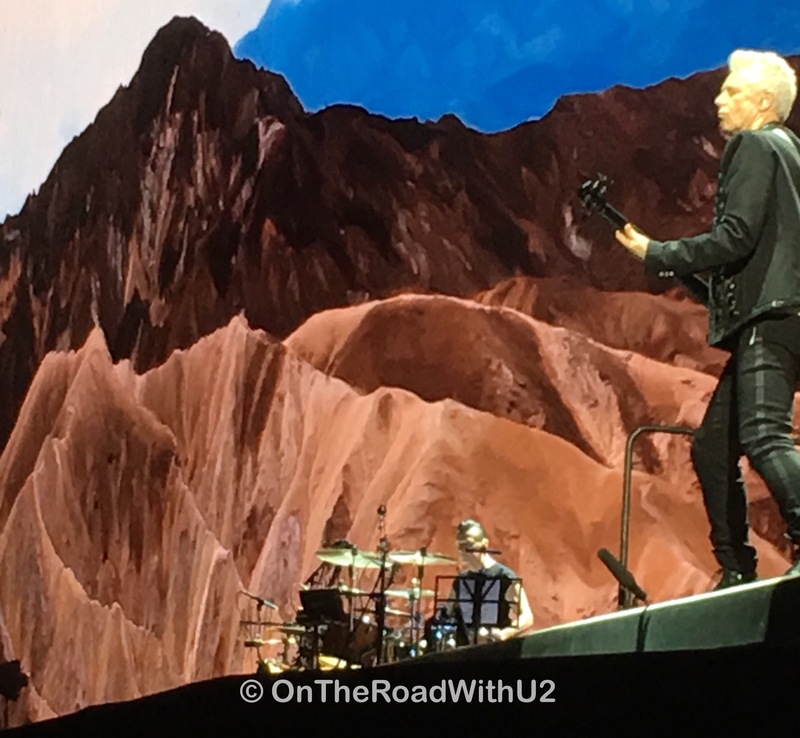 While the first Joshua Tree show in Chicago was intense and exciting as it was my first of the tour, the second show was more relaxed and fun. The audience was more into it and the band as a whole was more into it. 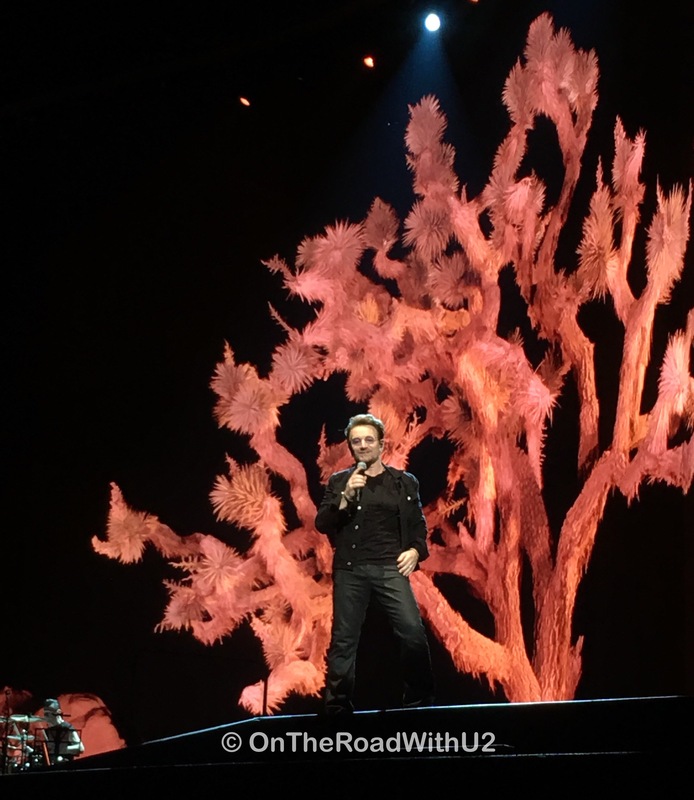 Bono seemed to be having much more fun the second night. 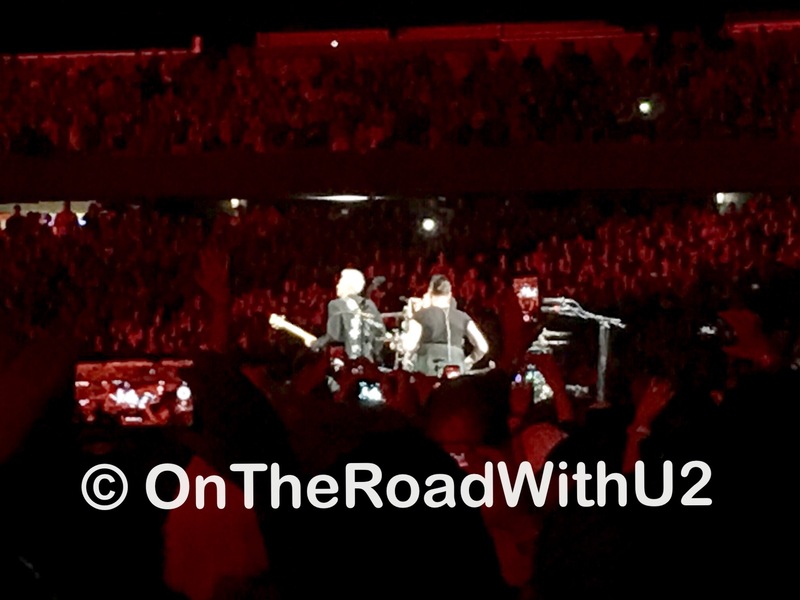 On this my 92nd U2 show, I heard “A Sort of Homecoming” in concert for the first time! Excited doesn’t begin to describe how I felt. As exciting as that was, the moment that brought me to my knees was when during “Elevation” Larry turned to camera and kissed the audience! OMG! 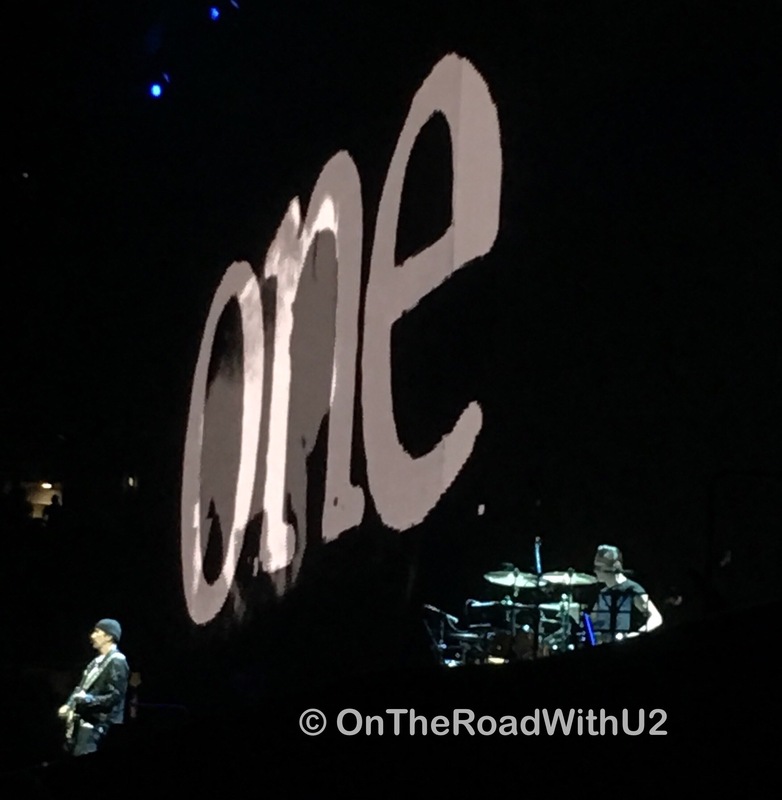 Another highlight for me was Bono singing the first half of “Beautiful Day” right in front of us. Not so much because he was so close, but more for it transported me back 16 years ago to the great Elevation Tour. 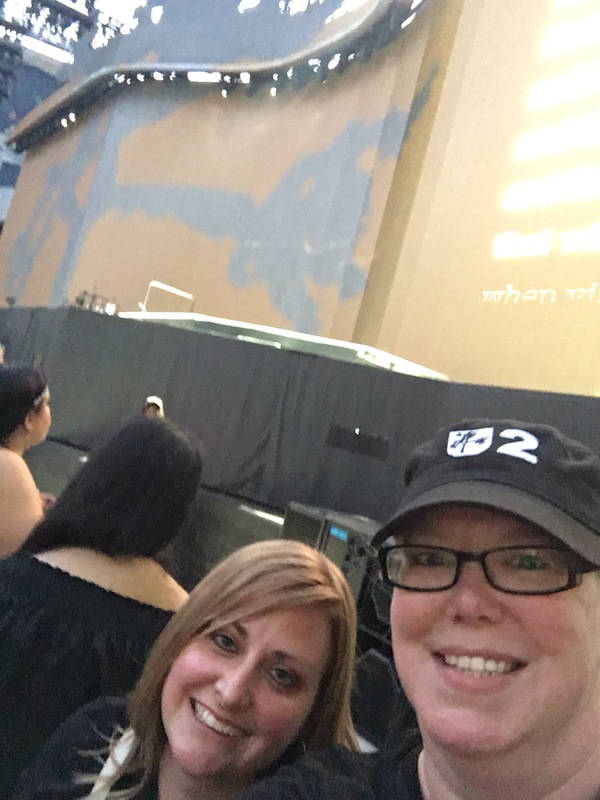 I was always on the front rail on the Elevation Tour (when I wasn’t at the tip), and I was back on the front rail last night at Chicago2 – but all the way on the far right. 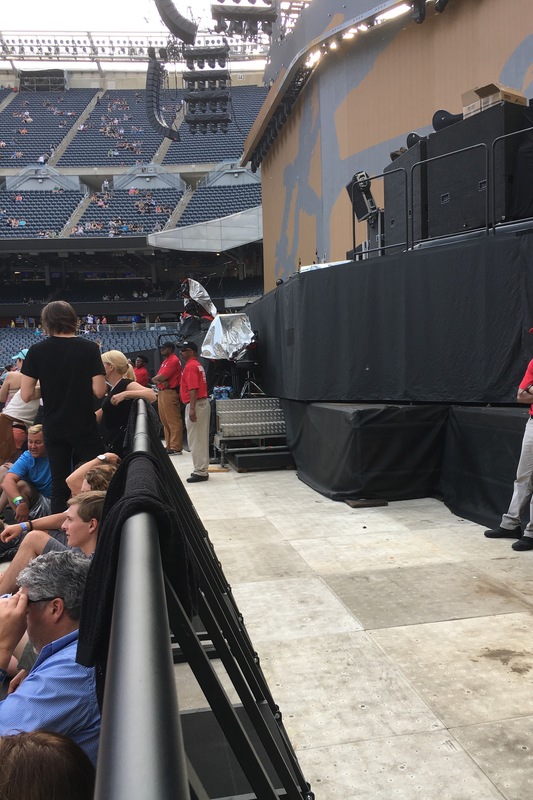 This was a better view of the main stage then from all the way on the far left on the other side of the redzone where we stood for Chicago1, but the tree stage and runway were farther away and harder to see. But for not waiting in the GA line and walking in at 5:45, these are both great options. The Lumineers took the stage at 7:33. I did not like them any more the second night, but I did find one of them very attractive so that helped pass the time until they were finally finished at 8:23. Too many songs that sound the same with ‘oooh haha’ and ‘hey ohh!’ Oy vey! 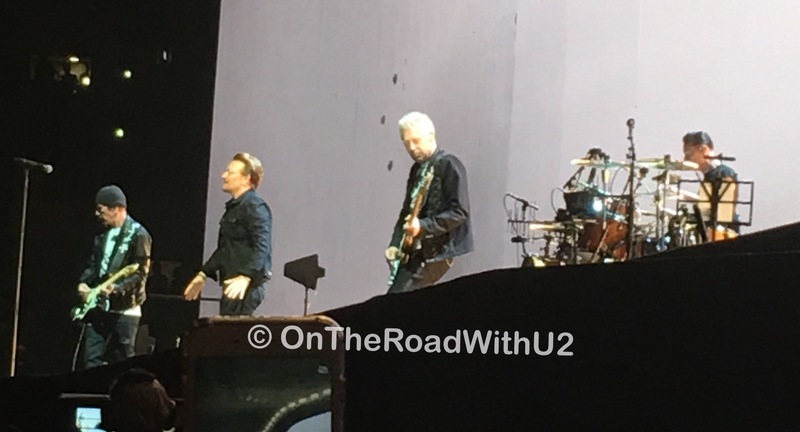 U2 took the stage at 9:20 and played for two hours. Larry seemed to be having some technical difficulties throughout the night – we saw a lot of Sammy. I am not a fan of the ‘eeny mini miny moe’ at the end of “Exit” – we started singing “Gloria! G L O R I A! 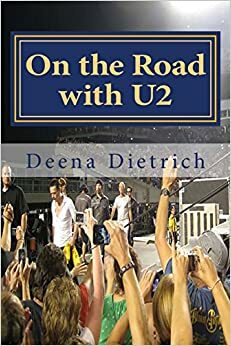 Gloria!” But “Exit” is SO fantastic live – it is to this tour what “Gone” was to the Elevation Tour with Edge and Larry rocking out in a similar fashion. 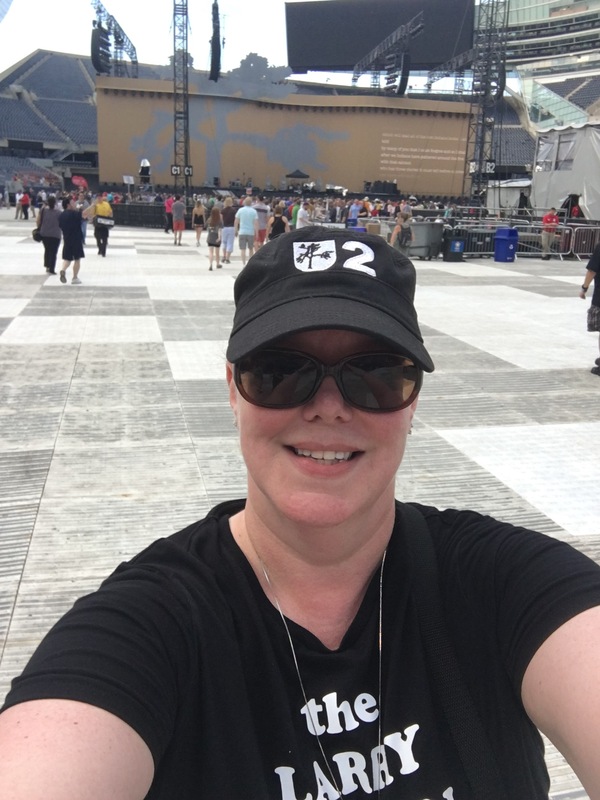 Guy Oseary gave me the nod, a wave and a smile when he saw my Larry Mullen Band shirt while I was singing my heart out to “Running to Stand Still.” He had really liked my shirt when he saw it in Vancouver during the ieTour opener, as I am pretty sure it was his first time seeing one. 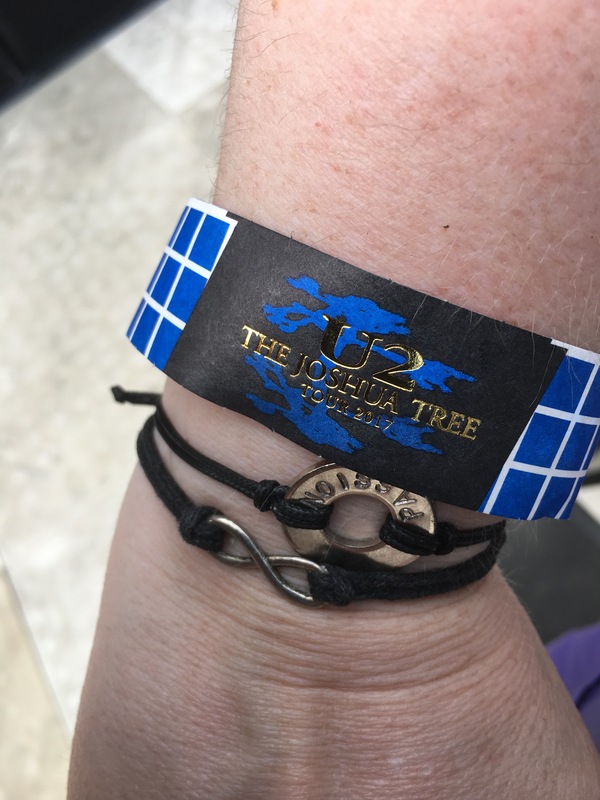 Then during “Beautiful Day,” Brian walked by looked at me then kind of jumped back and smiled with recognition and waved and said Hi. Not sure if my hat threw him or what, but his reaction was funny. 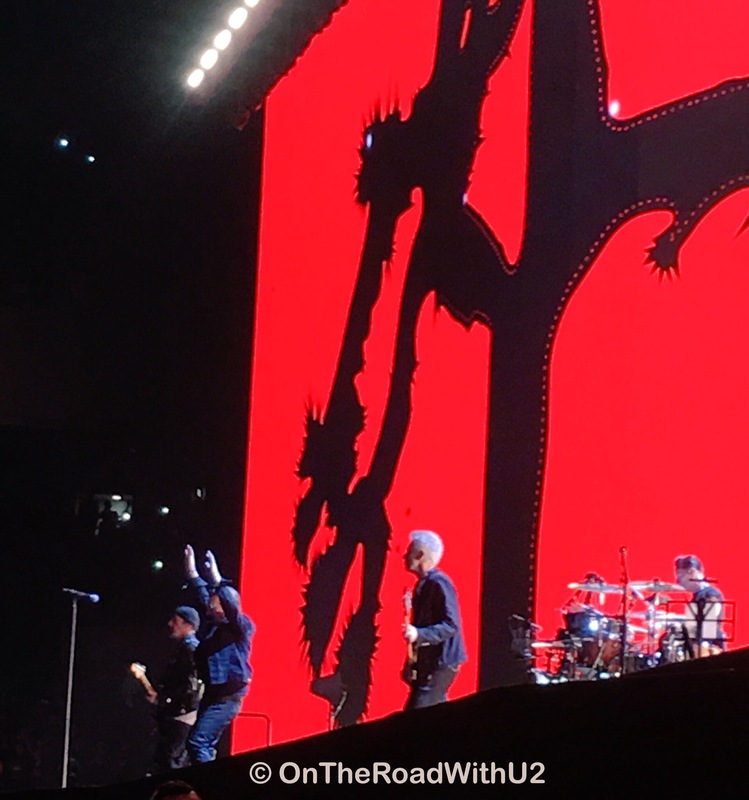 As always, U2 put on two great shows in Chicago! 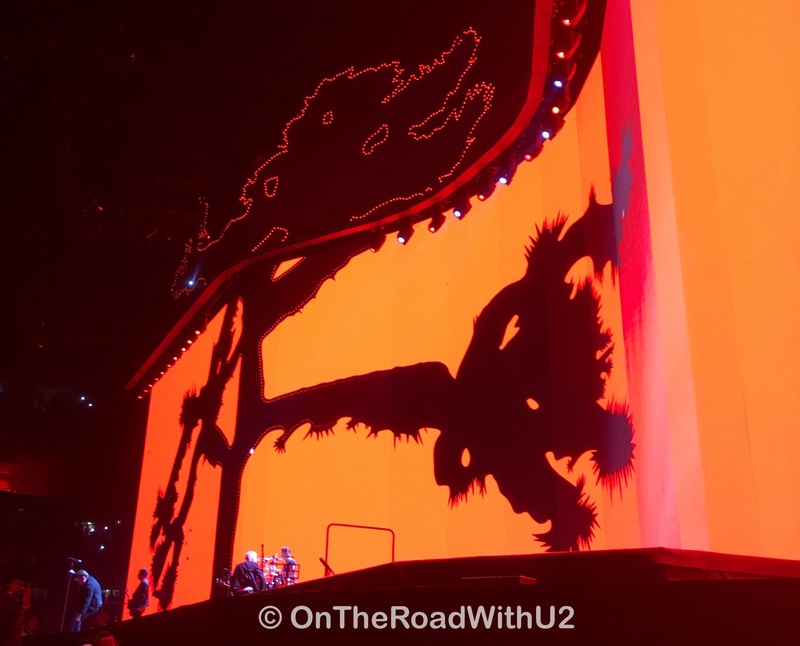 It seems this tour there are no fans on stage and no formal band introductions, but Bono seems to introduce a lot of the songs. On to Pittsburgh on Wednesday. Check back to see how the lads do in Steel City. 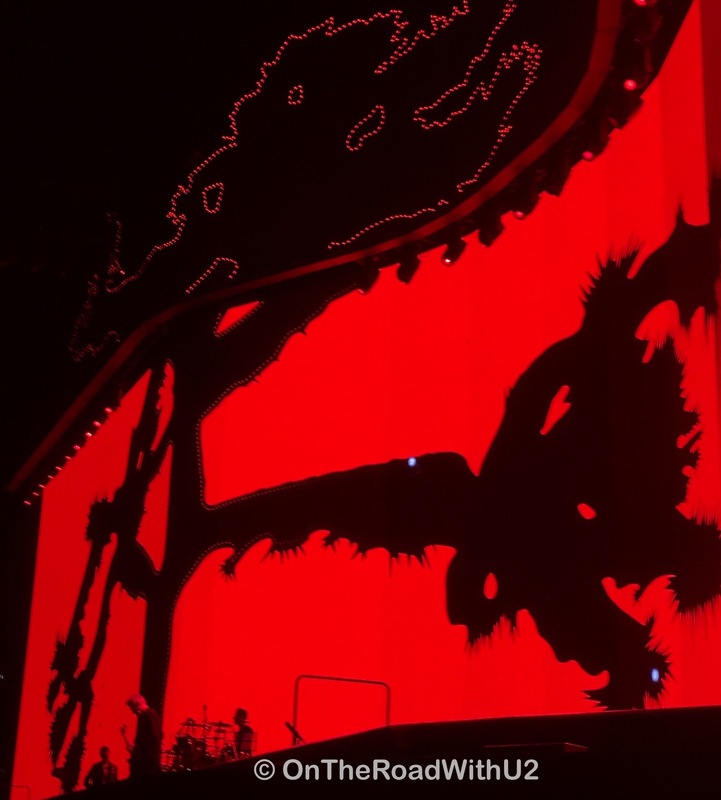 much preferred the first show. Much better choice of final song too. thank you! 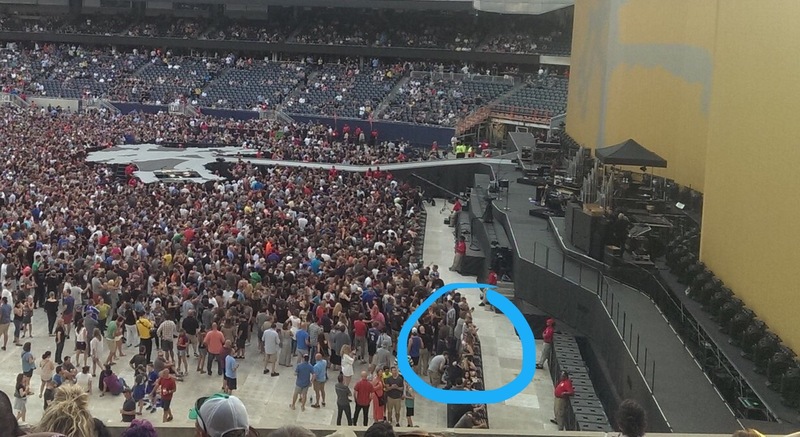 and didn’t see larry singing as i was way behind him on the front rail all the way to the right.